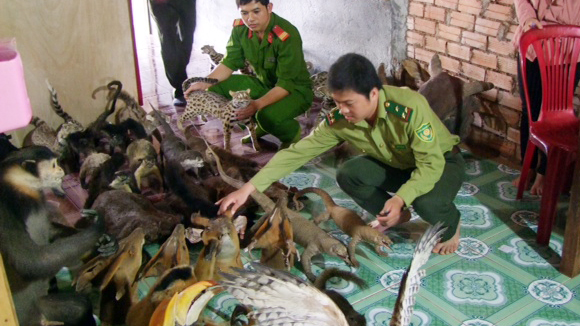 VietNamNet Bridge - Operation Game Change (OGC) - a new alliance aimed at reducing wildlife crime - will be launched at a ceremony held in Hanoi on March 3. The launching ceremony will be participated by the U.S. Ambassador to Vietnam Ted Osius, senior officials from the Ministry of Natural Resources and Environment and Ministry of Agriculture and Rural Development, members of the diplomatic community as well as partners and supporting organizations including Freeland, LoveFrankie, ENV, BCA and One More Generation. OGC will culminate in a large and free flagship public event in Hanoi to coincide with World Rhino Day in September of this year. The launch of Operation Game Change marks a major milestone in combatting a new global threat, wildlife crime, and specifically rhino horn trafficking. It also marks the 20th anniversary of normalized diplomatic relations between Vietnam and the United States and both countries’ continued collaboration to put an end to wildlife trafficking in the region, and around the world.